Angie’s List Super Service winners 9 years in a row! J and J Roofing takes pride in offering the highest QUALITY service and workmanship. J&J Roofing is a HERO registered contractor. Talk to us about HERO financing and start saving money! The HERO Program provides homeowners a unique opportunity to pay for energy-efficient and water-saving home upgrades through property tax financing. HERO offers flexible terms of 5-20 years, unmatched consumer protections, and the interest may be tax deductible. To learn more, call us at 323-913-4190. COMMERCIAL TPO OR PVC ROOFING? 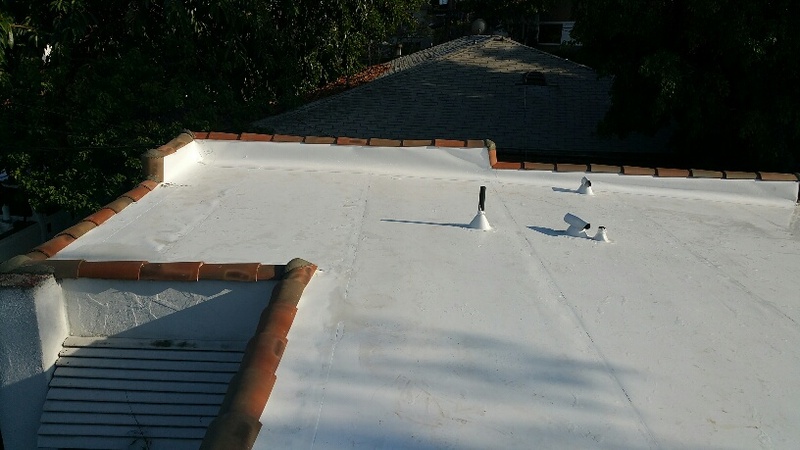 We are a greater Los Angeles licensed roofing contractor and also provide new roof construction and roof repair services in the surrounding communities including Northridge, Woodland Hills, Encino, Sherman Oaks, Tarzana, Studio City, Los Feliz, Silver Lake, Pasadena, Highland Park, Mount Washington, Eagle Rock, South Pasadena, Altadena, Atwater Village, Glendale, Arcadia, Hollywood Hills and Burbank.